"The 1980's Texas Oil Crisis and Changing Perception of Industrial Contamination"
Sarah Stanford-McIntyre is a Cultural and Environmental Historian using digital tools to map the long-term economic, social, and environmental impact of extractive industry. 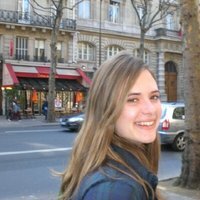 Sarah is the 2017-2018 Bernard Majewski Fellow at the American Heritage Center and an instructor in the University of Wyoming Department of History. 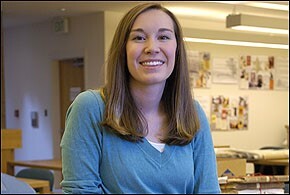 She holds a PhD in American Studies from William & Mary. Her research interests broadly include the environmental, social, and cultural impact of technology and energy systems. How have US oil industry employees historically understood their jobs’ environmental impact? How have oil communities reacted to increasing industry regulation in the name of public health and safety? How has this influenced national policy and culture? In 1983, global oil prices dropped and the US oil industry entered a tailspin. Texas was hit hardest. After prices fell yet again in the mid 1980s, a wave of independent banks in Texas failed and the oil industry dropped from over thirty percent to only twelve percent of the Texas economy. As the industry contracted, small oil companies failed, multinationals took greater control over domestic production, and national energy policy reoriented itself. Oil workers fell on hard times just as the industry’s massive environmental consequences along the Gulf and in West Texas deserts became widespread public knowledge. At this moment, oil workers — boosted by union health and safety activism throughout the 1970s and a wave of environmental revelations from federal agencies — began to challenge industry narratives of constant progress through oil abundance. In this paper, I highlight the intertwined histories of oil, American capitalism, and the environment. Historians have tracked the impact of 1980s oil industry peak and decline in terms of its impact on global American hegemony. Others have interrogated the importance of the oil economy to Texas politics. Few, however, have connected the industry’s collapse to health and safety agitation among industry employees and oil producing communities in the 1980s. It is well documented that the 1970s represented an era of environmental awareness and discussion about energy waste. However, in the Texas oil fields, the era was a time of massive industry expansion and exponential wealth. I demonstrate that the almost complete industry collapse in the 1980s facilitated a belated moment toward environmental awareness among Texas oil workers and their communities, starting conversations about environmental contamination in a state synonymous with oil wealth and unequivocal support for fossil fuels. Summary: The 1980s were a period of economic crisis for the Texas oil industry. This paper demonstrates that the decline of the oil economy also provided an opportunity for Texas oil communities to fully wrestle with the environmental and public health consequences of oil extraction and processing. "Peak Oil, War and Illusion: One Hundred Years of Oil Security Assumptions in U.S. Foreign Policy"
Dr. Stern, a Research Assistant Professor in the Collins College of Business at the University of Tulsa, discussed how oil scarcity theories advanced by geologists rationalized aggressive U.S. policy to secure foreign oil. During his time at the AHC, Stern, an economic geographer, researched the Mark Requa Papers. Requa was a geologist, peak oil proponent, and mining entrepreneur who in 1916 call for U.S. control of Mexican oil. The following year Requa joined the administration of President Woodrow Wilson as an energy policy official. He was the first to make the argument that peak oil implied an American imperative to control foreign oil, an idea which became a policy template replicated several times during the twentieth century. The Bernard L. Majewski Research Fellowship is funded by an endowment provided through the generosity of Mrs. Thelma Majewski and is intended to provide research support for a recognized scholar in the history of economic geology and to facilitate the Fellow’s use of AHC archival collections. 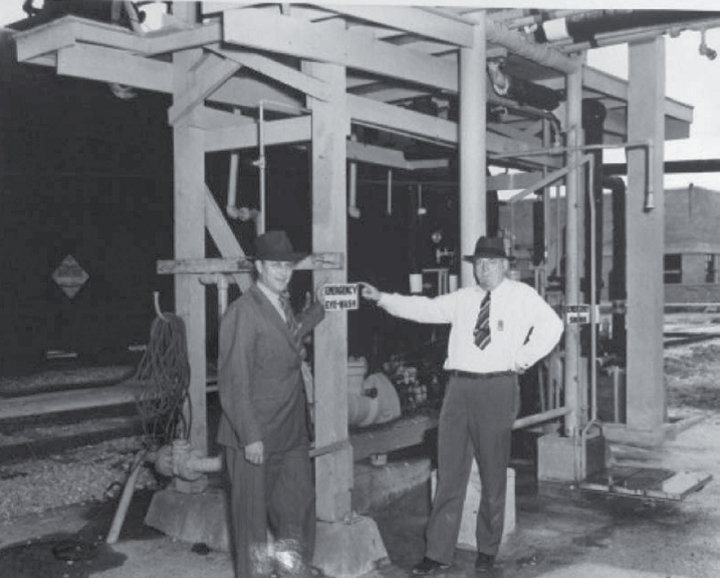 In World War II and the earliest years of the Cold War, influential oilmen, including CEOs and corporate presidents such as Bernard L. Majewski and Bruce K. Brown, moved to Washington to help the country establish effective oil policies for national security. The stories of a handful of these individuals will show how these men, from private industry, navigated the halls of Washington and created and implemented the oil policies which helped make American victorious in World War II and maintain its military and industrial power during the opening rounds of the Cold War. 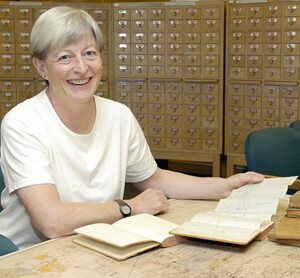 The Bernard L. Majewski Research Fellowship is funded by an endowment provided through the generosity of Mrs. Thelma Majewski and is intended to provide research support for a recognized scholar in the history of economic geology and to facilitate the Fellow’s use of archival collections in the American Heritage Center, University of Wyoming. "The Global Economy and the Foreign Community in the Andes"
Dr. Davies discussed the history of the Cerro de Pasco Corporation in the context of the expanding United States presence in the global economy. The corporation ranked as one of the three largest mining and metallurgical operations in the world and was a major supplier to markets in the United States, Europe, and Japan. Dr. Davies also addressed the nationalization of the Cerro Corporation by a socialist military government in 1974. Additionally, he talked about the men and families who lived in Chulec, Peru, the name of the Yankee community created by the corporation. Since the professional staff was drawn from Scotland, South Africa, India, the United States, Canada, Austria, Japan, and Mexico, among others, creating a cohesive community was of utmost importance to Cerro. Dr. Davies has done extensive research in collections at the American Heritage Center, including the Cerro Corporation Records. Edward J. Davies, II is a Professor of History at the University of Utah. He received his Ph.D. in History from the University of Pittsburgh. He has published articles in such journals as the Journal of Social History, Journal of Urban History, and Business and Economic History. Dr. Davies has written three books, including The Anthracite Aristocracy: Leadership and Social Change in the Hard Coal Regions of Northeastern Pennsylvania, 1800-1930 and Myth of the Eastern Front: The Nazi-Soviet War in American Popular Culture, 1941-2006. He presently is writing a history of the Cerro de Pasco Copper Corporation, which brings together two of his major research interests, the mining industry and world history. "Legal Warfare, Underground Warfare, and the New Science of Economic Geology in Butte, Montana, 1890-1910 "
Dr. Boland’s project as a Majewski Fellow examines the origins and evolution of geological mine maps. She places their development in a social and scientific context and explores how geological mine maps affected scientists’ perception of the earth. Dr. Boland has been studying the many geological mine maps and other documents relating to mine mapping contained in the Anaconda Collection held by the American Heritage Center. Butte, Montana, was known as the “Richest Hill on Earth” by the late 1890s. Competition for the immense wealth generated by the Butte copper deposits led to serious disputes -- court rulings shutdown almost all mining in Butte in 1903, and underground warfare between rival groups of miners threatened many lives. The Anaconda Copper Mining Company set up a Geology Department in 1900 to use science to resolve the many legal disputes. They developed the “Anaconda Method” of geological mine mapping which has been a cornerstone of economic geology for more than 100 years. This talk examines how social, economic, and legal pressures influenced the emergence of economic geology as a new science. Maeve A. Bolland is a research assistant professor in the Department of Geology and Geological Engineering at the Colorado School of Mines where she works on the history and public policy aspects of economic geology. Dr. Boland received a M.Sc. in 1985 from Trinity College in Dublin, Ireland, and a Ph.D. in geology from Colorado School of Mines in 2005. "Kinship, Labor, and the Law: Women’s Engagement with Wyoming’s Coal Mining Industry"